Description: A free customizable smart phone comparison table template is provided to download and print. 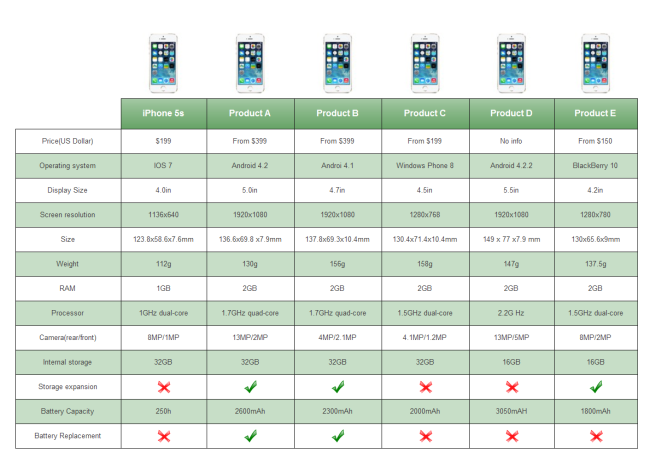 Quickly get a head-start when creating your own smart phone comparison table. By comparing smartphones in terms of the major functions, customers will find out their favorite one easily.